Brownsville, TX – Volunteers were busy as the Easter bunny on Wednesday, filling thousands of plastic eggs with Easter treats to be deployed at the Brownsville Sports Park for the city’s annual Easter egg hunt from 6-8 p.m. today. In all, 33,000 eggs were being filled with candy, toys and tickets for a free child’s buffet at the Golden Corral. 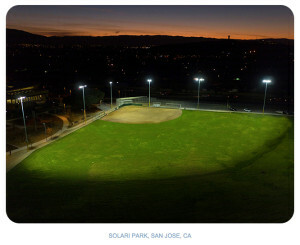 They are to be disbursed in and around five separate fields at the sports park, said Michelle Otero, special events coordinator for the city’s Parks and Recreation Department. At Parks and Recreation headquarters, 1338 E. Eighth St., box after box of plastic eggs waited to be filled, and big recycling containers to hold them surrounded Otero. She said the task of filling all the eggs couldn’t be completed without the help of the many volunteers who help out at the former Boys & Girls Club. The volunteers are mostly high school age students and come from the Brownsville Independent School District, IDEA Public Schools and the Keep Brownsville Beautiful organization, she said. The eggs are being filled and sorted into 10 large recycling receptacles, two for each of five divisions: special needs, 1-3 years old, 4-6, 7-9 and 10-12. It calculates to 1,650 eggs per bin and two bins or 3,300 eggs per age group. After the hunt, people will be encouraged to return the empty eggs to the recycling bins, which will be strategically situated around the park, Otero said. “Our target is everybody,” she said of the hunt, as well as other upcoming Parks and Recreation Department events. These include Earth Fest on April 27 and the Star Wars-themed Rebel Fest on May 4. Summer Parks and Recreation programs begin June 3 and continue through Aug. 9. Hitting and pitching mats are another great tool in the groundskeeper’s tool box. 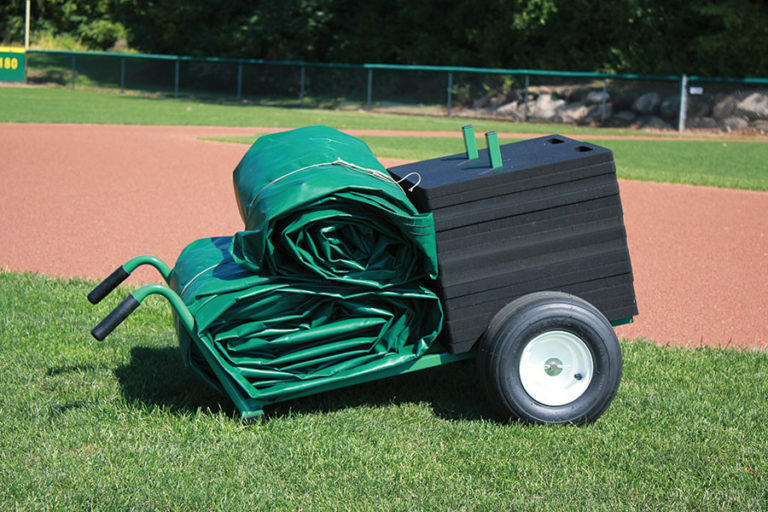 You may not think of them as a “tool” but they are absolutely effective at helping you maintain the mound and home plate wear areas. 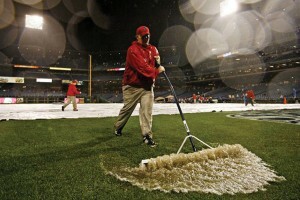 They provide two major benefits to the playing surface. 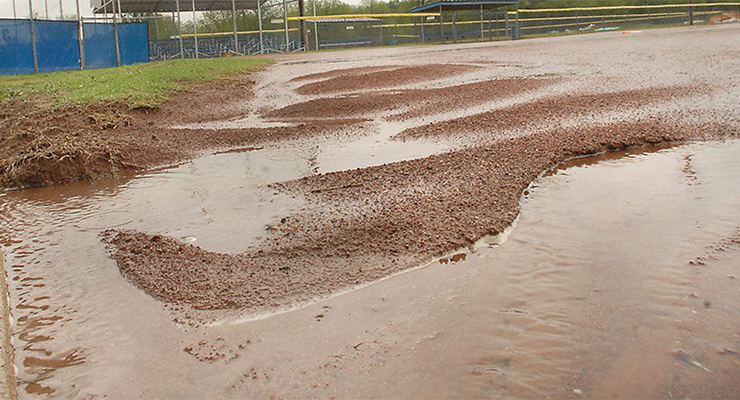 First, they eliminate the wear that would normally occur in the batters’ boxes or the front of the mound when any kind of practice is occurring. 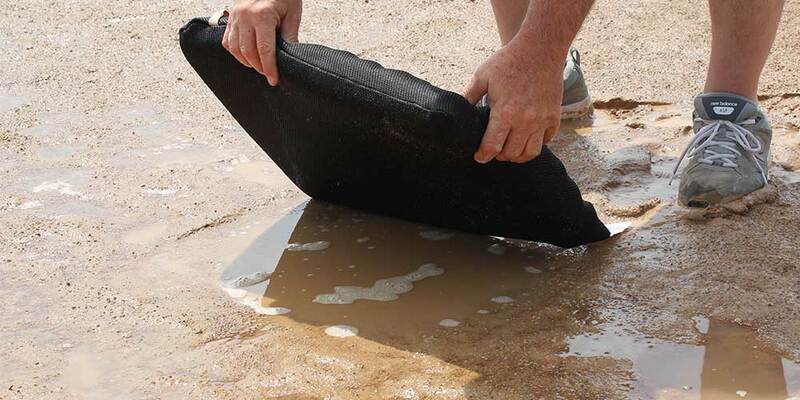 And secondly, the mat helps to manage moisture in the clay areas beneath the mat during practice since those two clay areas would normally have been exposed and susceptible to the evaporative forces of sun, wind and low humidities. These are the culprits that can rapidly steal valuable moisture from these high-wear areas.But wait!!! 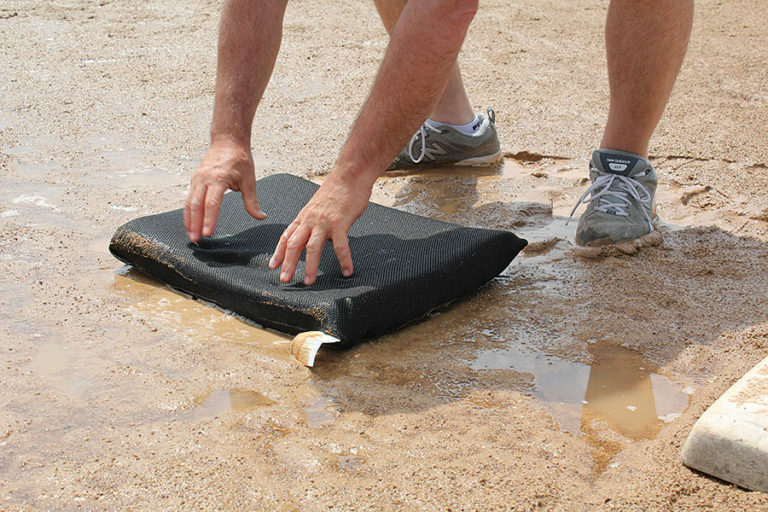 That’s not all, as they say… These mats are not only beneficial outdoors or on natural fields. 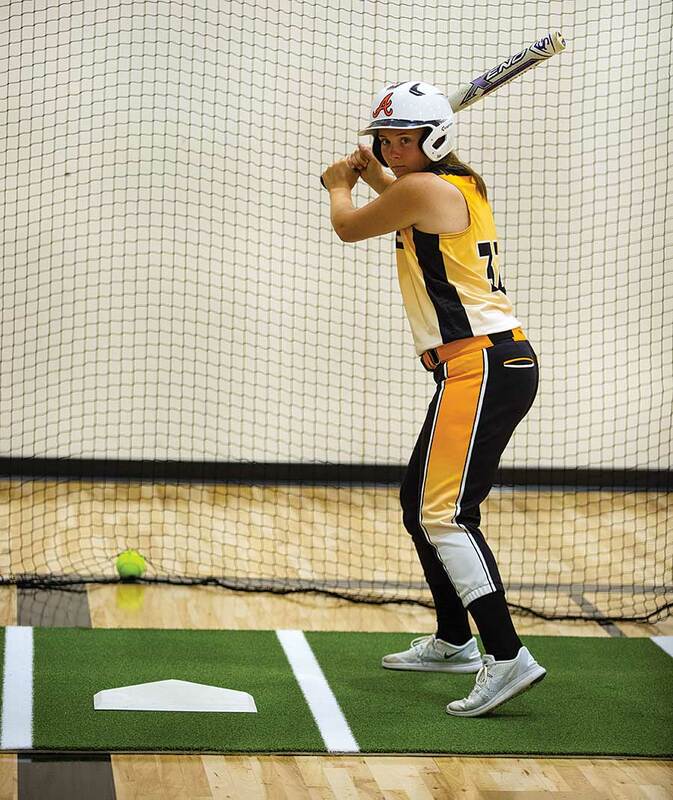 Hitting mats also work great for protecting permanent artificial turf installations on fields, in batting cages, around soft-toss areas (hitting stations) or the floor of your indoor facility. When permanent artificial turf is installed, it is best to use a hitting mat to hit off whenever possible so that that routine concentrated foot traffic does not inflict excessive wear and damage on the permanent turf, which can result in costly repairs of your turf. A former head groundskeeper for the Baltimore Orioles, Paul graduated from the University of Wisconsin in 1984 with a Bachelor’s in Soil Science with a specialty in Turf & Grounds Management. Paul took over as head groundskeeper for the Orioles’ final season at old Memorial Stadium in Baltimore and then was heavily involved throughout the design and construction phases of Oriole Park at Camden Yards which debuted on April 4, 1992. Paul has led Technical Sales Support at Beacon Athletics since the summer of 2000. In 2012, Paul authored and oversaw the launch of “Groundskeeper University”, the first online ballfield maintenance training venue. Over the years, Paul has donated thousands of hours working with West Madison Little League, which also plays a critical role in the research and development for many of Beacon’s innovative field maintenance tools. partnership with Major League Baseball ! OKLAHOMA CITY – USA Softball, in partnership with Major League Baseball (MLB) has announced the launch of its new Amateur Resource Center (ARC), a website designed to promote grassroots education for coaches, parents, umpires and youth athletes. 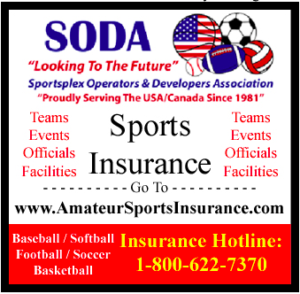 Covering important topics that relate to youth softball, the website also features original content from members of the USA Softball National Team programs and instructional videos covering the basic fundamentals of softball. Designed with the template followed by fellow National Governing Body (NGB) member USA Baseball, the ARC website is completely free of charge. Featuring resources that cover topics like health and safety and age-specific fundamental focuses, visitors can also access instructional videos featuring members of Team USA for beginner, intermediate and advanced levels. The ARC website is one of the many resources USA Softball provides to members across the United States. In addition to the ACE (Aspire, Challenge, Educate) Coach Education Program, USA Softball has strategically aligned with education partners like the National Fastpitch Coaches Association (NFCA) and TrueSport, a movement powered by the U.S. Anti-Doping Agency (USADA), to aid in the development of the sport of softball at the grassroots level. 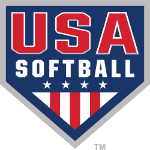 For more information on the USA Softball Amateur Resource Center, please visit USASoftballEducation.com. some great deductions to help you save more. Hoboken, NJ (April 2019)—April 15th is just around the corner. If you haven’t already filed your taxes for 2018 (or will take an extension), it’s still not too late to get the maximum deduction amount for your business. Keep reading for the dos (and a couple of don’ts) of deducting your small business expenses. Do deduct your advertising. Under this category, include the cost of any advertising that your business does to promote itself. 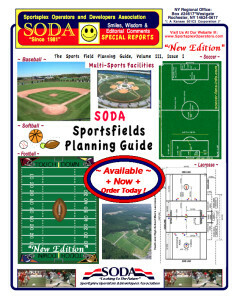 This includes radio, newspaper, Internet, and print ads and promotional brochures and mailers. Do deduct car and truck expenses. When you use your car for business, the expenses of operating your car are deductible. Compute this deduction by using a flat rate per business mile or by keeping track of actual expenses. Keep a log of the mileage and business purpose of your trips or keep track with one of the popular apps. Don’t deduct commuting costs (except under certain circumstances). Commuting expenses between your home and office aren’t deductible. These expenses are considered personal commuting expenses, no matter how far your home is from your office or place of work. The cost of parking at your place of business isn’t deductible either. · If you don’t have a regular office to go to, and you use your car to call on clients, the mileage between your home and the first customer you call on, and the mileage between the location of the last customer you call on and your home, is considered commuting. If your office is in your home, you can deduct all your auto expenses for calling on customers. · You can deduct the cost of getting from one job to the other if you hold more than one job. But transportation expenses going from your home to a part-time job on a day off from your main job aren’t deductible. · If you have a regular place of business and commute to a temporary work location, you can deduct the cost of the daily round trip between your home and the temporary job site. Do deduct commissions and fees. The fees that you paid to sell your merchandise or bring in new clients (as in referral fees) can be deducted. However, if you pay someone who isn’t your employee $600 or more in a year, you have to file Form 1099-MISC with the IRS and send the person you paid a copy of the form. Do deduct contract labor—but make sure they really are contractors and not employees in disguise. The IRS zeroes in on businesses that pay workers as independent contractors instead of as employees. If someone works on your premises and under your control, she’s probably your employee, and the rules about withholding taxes and Social Security apply. If treating these types of workers as independent contractors is standard in your industry (that is, at least 25 percent of your industry treats them this way) and you issue these workers a Form 1099 at the end of the year, you may have an escape hatch. IRS Publication 1779 (“Independent Contractor or Employee Brochure”) and IRS Publication 15-A (“Employer’s Supplemental Tax Guide”) address the independent contractor issue in greater detail. Do deduct depreciation. Depreciation is the annual deduction that enables you to recover the cost of an investment (that has a useful life of more than one year) in business equipment or in income-producing real estate. Unless you elect the special provision that allows you to deduct up to $1,000,000 of equipment or furniture used in your business, you have to write off your purchase of these assets over their respective useful lives as established by the IRS. You can’t depreciate land or works of art. Do deduct employee benefit programs. You can deduct the premiums you paid for your employees’ accident, health, and group term life insurance coverage, but not those you paid for your own health insurance. Do deduct insurance (other than health). Deduct premiums that you paid for business insurance, such as fire, theft, robbery, and general liability coverage on your business property. Do deduct mortgage interest. If you own a building in which you operate your company, deduct any mortgage interest you paid (on line 16a). If you’re claiming a deduction for the portion of your home that’s for business, deduct the mortgage interest you paid on line 10 of Form 8829 (“Expenses for Business Use of Your Home”). The amount of the deduction is stated on Form 1098 (“Mortgage Interest Statement”), which you should receive in January from your bank. Do deduct other interest as well. You can deduct interest on business loans on line 16b. If you took out a mortgage on your house and used the proceeds of the loan to finance your business, deduct the interest here (and not on Schedule A). If you borrowed money for your company from other sources, such as a bank or even your credit card, deduct the interest on those loans as well. Don’t deduct the interest you paid on the taxes you owed on your personal tax returns. However, you can deduct late interest paid on employment taxes that you paid as an employer (Social Security, Medicare, and withholding taxes). Do deduct legal and professional services fees. These include fees you paid for tax advice, for preparing tax forms related to your business, and for legal fees regarding business matters. Do write off office expenses. Enter your costs for stationery, paper supplies, postage, printer toner, and other consumable items that you use in the operation of your office or business. Do deduct pension and profit-sharing plans. Employers with fewer than 100 employees may establish what’s known as SIMPLE retirement plans. Deduct your contribution to your employees’ SIMPLE or SEP account(s). Do deduct your rent or lease payments. If you rented or leased an automobile, machinery, or equipment, enter the business portion of the rental payments on line 20a. But if you leased a car for more than 30 days, you may have to reduce your deduction by an amount called the inclusion amount if your leased car’s value exceeded particular amounts when you started leasing it. You can find charts with the lease inclusion amounts for cars, SUVs, vans, light trucks, and electric cars in IRS Publication 463 (“Travel, Entertainment, Gift, and Car Expenses”). Enter rent or lease payments for other business property—your office rent, for example, on line 20b. Do write off repairs and maintenance costs. A repair (as opposed to an improvement) keeps your equipment or property in good operating condition. Deduct repairs—such as fixing your computer—on line 21. You must depreciate a repair that also prolongs the life of your equipment, so make the most of the $1,000,000 deduction instead of depreciating the cost over its useful life. If you’re confused about what qualifies as a repair and what qualifies as an improvement, contact a tax advisor to evaluate your specific situation. Do deduct supplies. If your company manufactures a product, you can deduct the cost of supplies that contribute to the operation of the equipment that you use in your office or business. For example, if you operate a retail store, you can write off the cost of mannequins, trim, packaging, and other items. Do write off travel and meals. You can deduct 100 percent of the money you spent on airfare and hotels for business trips on line 24a. But money spent on room service is limited to 50 percent, unless you work in the transportation industry. Because you can deduct only 50 percent of your meal expense, enter only the 50 percent you’re allowed to deduct on line 24b. Do write off utilities like electric and telephone bills. However, if you claim a home office deduction, your utility costs belong on Form 8829 (“Expenses for Business Use of Your Home”) instead of on line 25. Do deduct wages. Wages you paid to your employees are a tax write-off. However, make sure you deduct payments to independent contractors on line 11. Do deduct “other expenses.” Some expenses don’t fit into the neat categories of lines 8-26 on your tax return. Yet, you can still deduct things like dues, subscriptions to related business periodicals, messenger services, overnight express fees, and so on. Eric Tyson, MBA, is the author of Small Business Taxes For Dummies®, Second Edition(Wiley, March 2019, ISBN: 978-1-119-51784-9, $26.99). Eric is an internationally acclaimed and best-selling personal finance author, counselor, and writer. He is the author of five national best-selling financial books including Investing For Dummies, Personal Finance For Dummies, and Home Buying Kit For Dummies. He has appeared on NBC’s Today show, ABC, CNBC, FOX News, PBS, and CNN, and has been interviewed on hundreds of radio shows and print publications. Small Business Taxes For Dummies®, Second Edition (Wiley, March 2019, ISBN: 978-1-119-51784-9, $26.99) is available at bookstores nationwide, from major online booksellers, and direct from the publisher by calling 800-225-5945. In Canada, call 800-567-4797. For more information, please visit the book’s page on www.wiley.com. In Hendersonville, a new system is letting folks know when they need to get off the field as a storm approaches. 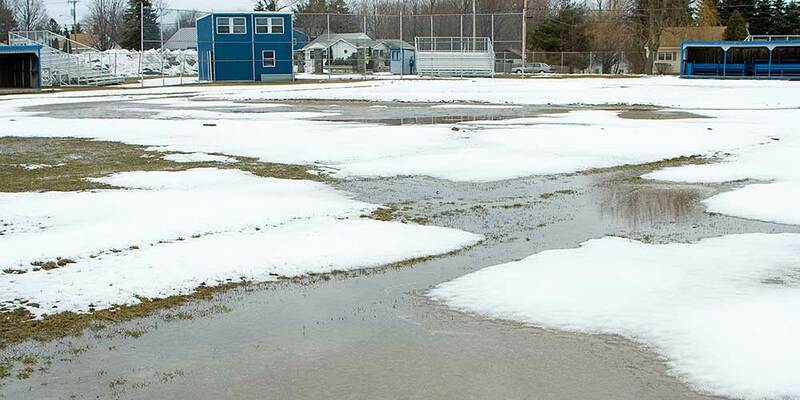 The spring sports season is off and running, and now is the time of year when folks need to stay ‘weather aware’ when they’re out at a child’s event. You might notice them. They’re called lightning detectors and they’re placed all around the fields at Drake’s Creek Park. They go off when the conditions are right for lightning in the area. The system is about getting everyone on the same page. La Vergne has one of these detection systems also. They’re also found at fields in Memphis, in Kentucky, and on several golf courses. Hendersonville said they plan on having all of their major parks equipped with these detectors in the coming weeks. 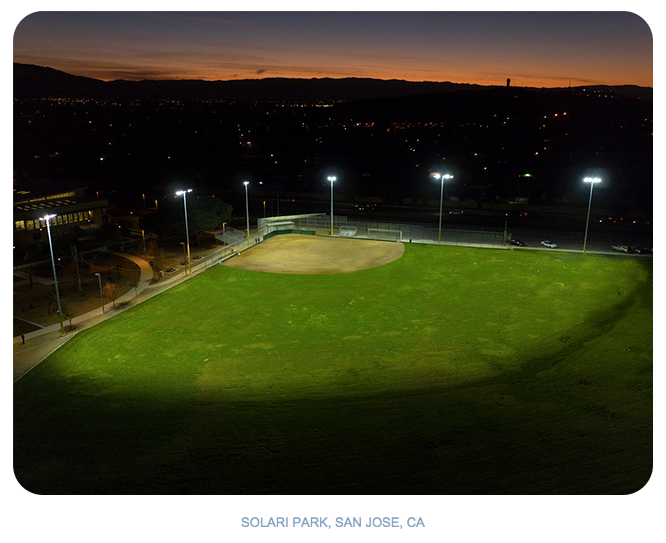 CONSTRUCTION CONTINUES ON SOFTBALL CAPITAL OF THE WORLD® ! THE PAST WEEK » With the first coat of paint in the basement completed, the ceiling grid has also started with tile nearing completion in the bathrooms. Press box exterior framing is complete, while green sheathing installation continues. Laying concrete masonry unit (CMU), also known as the concrete blocks, at the second floor is underway and at the bearing on the third-base side. Fire suppression crews continue working and have moved from the basement to concourse level. Weather barrier is also being installed at joints, screws, penetrations and steel abutment. 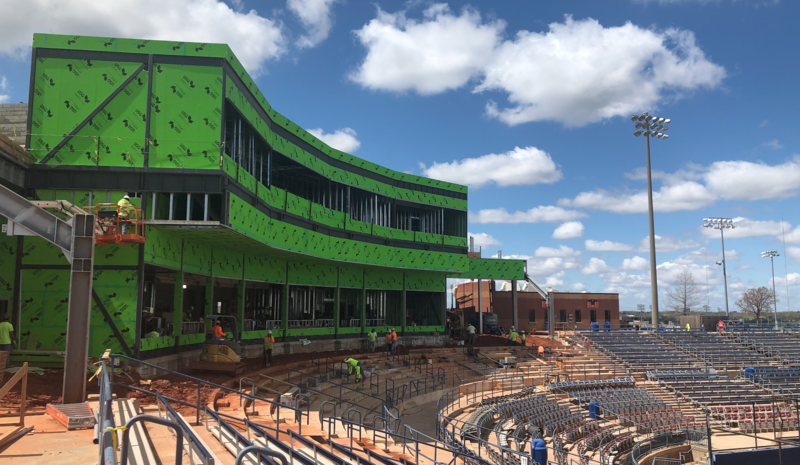 Photos show you front-entrance views of the Northwest (third base) and Northeast (first base) sides, as well as the media hospitality room and press conference room. 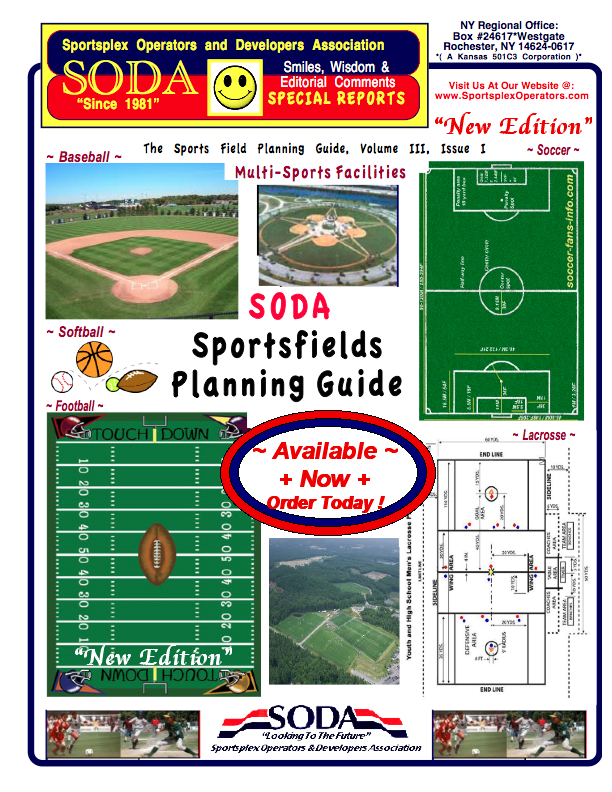 Plenty of new amenities around Sahlen Field, International League ! Buffalo, NY – The biggest news at the ballpark in 2019 is the name. And, of course, what that means for the food. 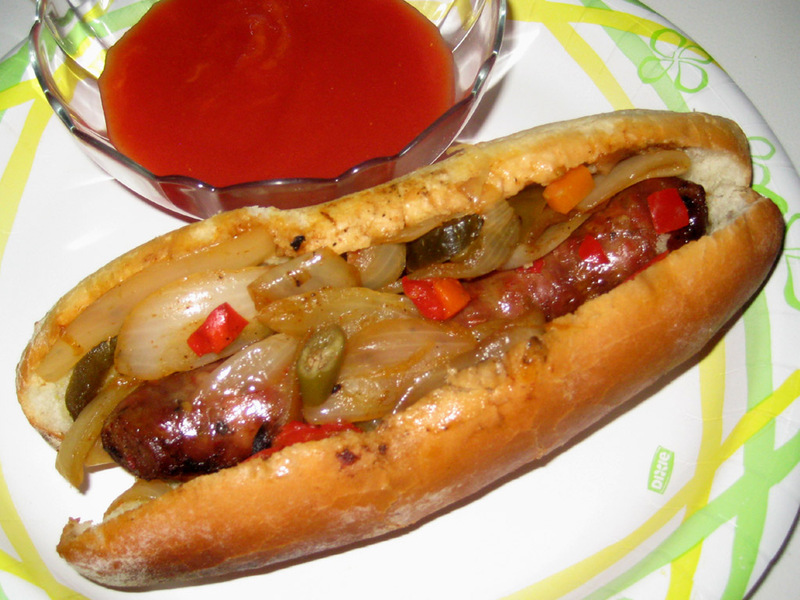 Sahlen Field, named for the Buffalo hot dog company, is the fifth corporate name of Buffalo’s downtown stadium. Just like the previous name, Coca-Cola Field, this naming rights deal has a 10-year commitment that was announced in October. At the concession stands, the new ballpark name should tell you what’s going to be a point of emphasis. “It’s going to be hot dog mania with Sahlen Field,” cracked Rich Baseball Operations president and Bisons General Manager Mike Buczkowski. He’s not kidding. 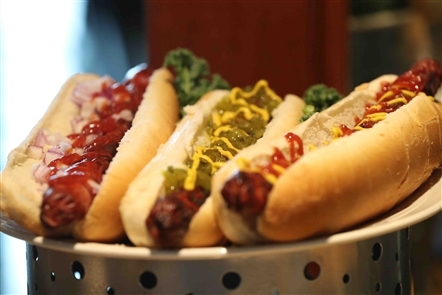 The team is returning footlong hot dogs to its concession menu, creating a Sahlen’s Specialty Station featuring an all-beef dog and a rotating specialty dog with toppings, and adding an Italian Hot Ham sandwich. Other new food items include Ru’s Pierogi’s pulled pork and chocolate cheesecake pierogi, churros, jalapeno bites and the Beyond Burger (plant-based). “We’re always looking at what we can do to raise the bar for fan amenities, whether that’s through promotions, new food items we have or even events in the ballpark that happen when the Bisons are on the road,” Buczkowski said. Going green: The Bisons have added 2,000 more wide green seats on the ballpark’s main level, dropping capacity by about 300 to 16,600. Ticket prices are up 50 cents across the board, but the team also raised the discount from $2 to $2.50 per seat for tickets purchased prior to game day. So tickets run from $13.50-$16.50 on game day, but can be had for $11-$14 prior to game day, and are available at those prices without fees if purchased at the ballpark’s Swan Street ticket office. Multiple ticket discounts are available through partners AAA, the NFTA and Wendy’s. More are listed at Bisons.com. In the restaurant: There will be no more a la carte menu at Consumers Beverages Pub in the Park, the ballpark restaurant long known as Pettibones Grille. Instead, the team is moving to a full buffet offering starting two hours before the game. The Bisons plan to match the restaurant buffet with promotions like ethnic festival nights, food choices based on the opponent and items their cities are known for, and will be getting player input on some family special dishes that they can recreate for fans. Fans can make reservations by calling 846-2100. The buffet is $19.95 for adults and $10.95 for children 12 and under. The team is offering a buffet plus game-ticket package at a discount of $29 for adults and $18 for children. Top promotions: The team will give out beef on weck bobbleheads on July 16 and Vladimir Guerrero Jr. bobbleheads on July 21. “Star Wars” Night is June 8, the 25th annual Independence Eve with the BPO is July 3 and the team will debut a “Game of Thrones” Night on June 22. There will now be a monthly Dog Day, with fans invited to bring their pets to the right field berm. There will be a dog chew toy giveaway as part of that on May 16. A new look in Syracuse: The Chiefs are no more and the club, which is owned by the New York Mets, will now be called the “Syracuse Mets.” The big news there is who is in the outfield. No, not Rajai Davis, whose dramatic home run tied Game 7 of the 2016 World Series for Cleveland against the Chicago Cubs. We’re talking former Heisman Trophy winner Tim Tebow, now a 31-year-old outfield prospect coming off a year when he batted .273 at Double-A Binghamton. The Mets’ move from Las Vegas is the league’s only affiliation change this year. Who else is coming to town: Former Bisons player and manager Joel Skinner is in his second year as the skipper in Rochester. Former Buffalo shortstop Jay Bell is in his first year as manager at Scranton/Wilkes-Barre and will be closely watching the progress of top Yankees prospect Clint Frazier, who missed most of last year with a concussion. The playoff format: It’s status quo, with all series a best-of-five. The North Division winner plays the wild-card team in the semifinals while the West and South Division winners also meet. The two survivors play for the Governors Cup. The league champion meets the Pacific Coast League survivor in the Triple-A National Championship Game Sept. 17 in Memphis. The Bisons have the longest playoff drought in the league, dating to 2005 when they were still a Cleveland affiliate. Home is not where the titles are: The clinching game of the last 11 Governors Cup finals has been won by the visiting team. The last team to celebrate a title on its home field was the 2007 Richmond Braves. Durham has won the last two crowns, winning the series last year when it was played entirely at Scranton/Wilkes-Barre due to hurricane warnings in North Carolina. The Bulls will be going for the IL’s first three-peat since Columbus did it from 1979-81. Get a move on: The minors are pushing pace-of-play initiatives and will make test runs for some of Commissioner Rob Manfred’s potential rule changes at the big-league level. Specifically, all pitchers at Triple-A and Double-A must now face a minimum of three batters (or record the final out of an inning) before they can be replaced. Mound visits (recorded on the scoreboard by the linescore as “MV”) have been cut to five per game from six, with one additional per extra inning. The extra-inning rule used last year remains in play: Each extra inning starts with a runner on second base. There’s a right way and a wrong way to Remove Puddles ! Puddle Sponge on sale thru 4/5! Order now and save $10. The set of 3 is on sale for $85 (reg. $95). It’s not fun. 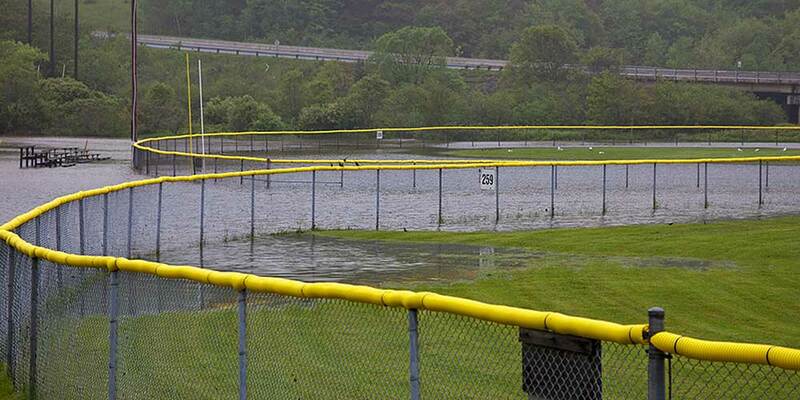 We have the 9 keys for how to recover after your field is flooded. 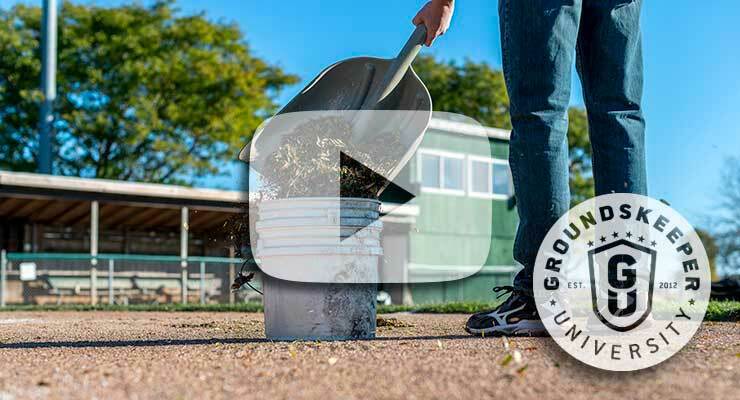 Groundskeeper U is your online training resource for seasonal staff & volunteers… and it’s free! 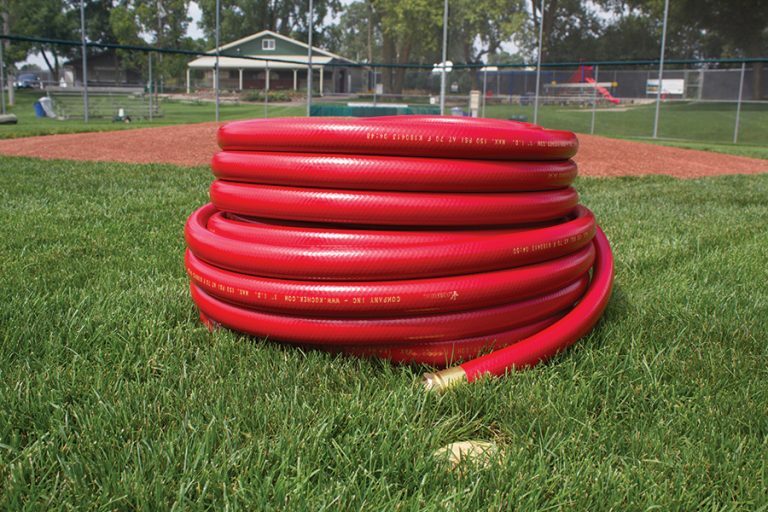 Discontinued item… A great opportunity to get this discontinued heavy-duty 1″ diameter 100 ft PVC hose with solid brass couplings. Working pressure is 150 psi. Very limited quantities. Brand-new condition. Sand volleyball courts coming to Youngsville, LA Sports Complex this fall ! This rendering shows what the sand volleyball courts at the Youngsville Sports Complex could look like. The project is expected to be completed in the fall of 2019. The Youngsville Sports Complex could soon attract even more people for recreation and tournaments thanks to the addition of sand volleyball courts. Five NCAA-spec sand volleyball courts will be constructed over the summer in an existing green space adjacent to the tennis courts at the complex, according to Youngsville Mayor Ken Ritter. A pavilion with restrooms and concessions is also included in the construction plan. The Youngsville Sports Complex regularly hosts soccer, softball, baseball and basketball tournaments. This fall, it will be the site of the largest amateur boxing tournament in the country. Construction of the volleyball courts is scheduled to begin in May and is expected to take about five months. The $824,900 project is being paid for through Youngsville’s 1-cent sales tax dedicated for recreational purposes. R.S. Bernard and Associates of Lafayette was the low bidder on the project. Land Architecture, also of Lafayette, has drawn the plans. For many, ‘March Madness’ also means the mad rush to Get Back on Your Fields ! SAVE 10% NOW on 18 oz tarps. 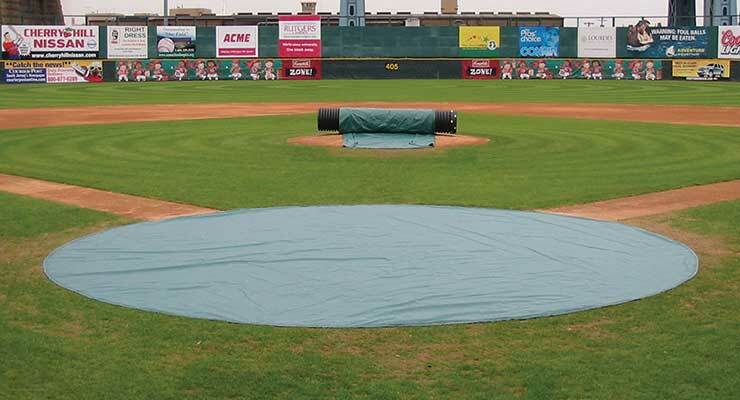 Our FieldShield mound cover or home plate tarps are a critical part of your field maintenance plan. 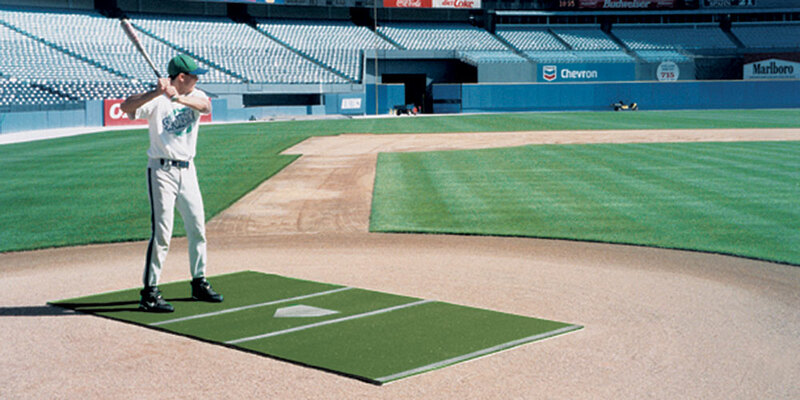 Save your turf around home plate! Two sizes, different colors. Not suitable for metal spikes. Very limited quantities. Like-new condition.